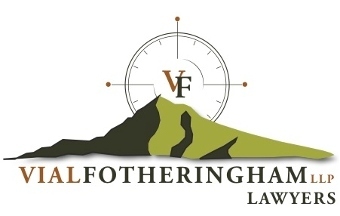 Please find me at Vial Fotheringham! As an advocate for citizens, Kristian has fought unrelentingly against unlawful or oppressive government action. In cases like Courter v. City of Portland, 286 Ore. App. 39 (2017); Bearden v. Clark County, No. C14-5318 BHS, 2016 U.S. Dist. LEXIS 38951 (W.D. Wash. Mar. 24, 2016); State ex rel. Ross v. City of Portland, Multnomah County Circuit Court Case No. 1401-00990 (2014); State ex rel. Haggenmiller v. Clackamas County, Oregon Supreme Court S060685 (September 6, 2012); Curry v. Clackamas County, 240 Or App 531, 248 P3d 1 (2011); Luethe v. Multnomah County, 240 Or App 263, 246 P3d 487 (2010); State ex rel. Dewberry v. Kulongoski, 346 Or 260, 210 P3d 884 (2009); Emmert Industrial Corp. v. City Of Milwaukie, 307 Fed Appx 65, 2009 WL 118074 (9th Cir., January 07, 2009); Li v. State, 338 Or 376, 110 P3d 91 (2005); and City of Portland v. Courter, Multnomah County Circuit Court Case No. 9810-07438 (trial, 2003), Kristian has helped take government entities to task for ignoring and breaking the law for their own convenience, or attempting to silence the voices of Oregon citizens, landowners, and voters. And he has assisted other lawyers in advancing consumer protections in cases such as Long v. Farmers Ins. Co., 360 Or. 791, 388 P.3d 312 (2017), and even as pro bono counsel for amici curiae (friends of the court) in cases such as Bagley v. Mt. Bachelor, Inc., 356 Or. 543, 340 P.3d 27 (2014) (filed amicus brief on behalf of OTLA in successful case striking down ski resort liability releases as unconscionable and in violation of public policy). 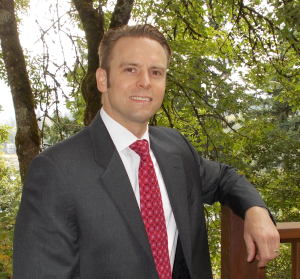 In all of these cases, Kristian has showcased his skills as a trial lawyer and appellate advocate, earning the respect of judges and opposing counsel alike. Tenacious, determined, strategically-minded, and always in your corner, Kristian Roggendorf and Roggendorf Law bring large-firm intellectual bona fides, boutique skill, and solo practitioner client service to your corner, helping to even the scales when you are in a fight against modern-day Goliaths. Please contact us for a consultation.